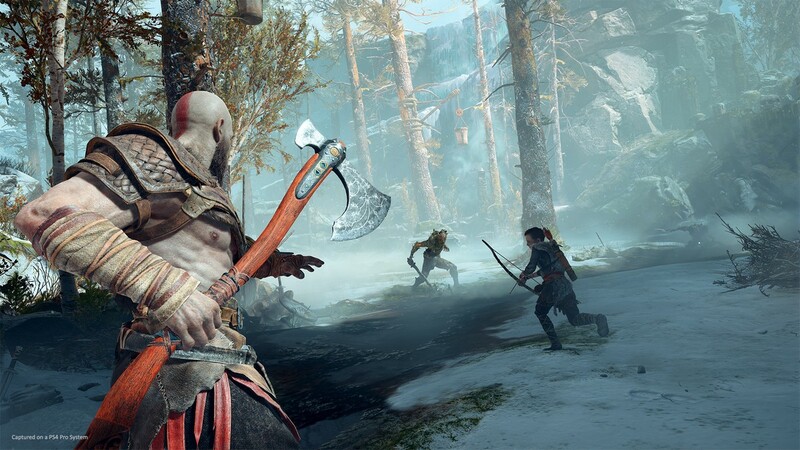 God of War’s four difficulty settings have each been devised to offer players a specific experience. God of War’s easiest difficulty is designed for players who just want to explore the world and follow the story, without having to worry about combat encounters. Things are turned up a notch with the second option, the more balanced difficulty where most players will probably spend the bulk of their time. Then there’s the equivalent of hard, which is meant to be challenging to most players. But there’s another, fourth difficulty setting called Give Me God of War. It has its own save slot, and won’t let you drop to a lower difficulty when things get tough. This isn’t just harder because enemies have larger health pools, or that they come in bigger numbers. “We did a ton of stuff to make it a genuine challenge, not a cynical increase,” creative director Cory Barlog told Rolling Stone. This is welcome news for fans of the original games that feel the newest iteration is focusing more on story at the expense of combat. God of War may be a more mature, restrained sequel, but that doesn’t mean it’s taking away part of what made the originals special. Regardless of which difficulty you choose, though, you will be able to return to areas you didn’t quite explore after you’re done with the main story. God of War is out April 20 on PS4.